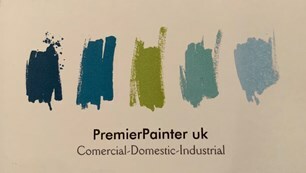 Premier Painter - Painter/Decorator based in Rochford, Essex. We offer a full range of internal and external decorating services to home and business owners and can provide a wide range of wallpaper and painting designs. We offer a friendly, professional service to very high standards and have over 30 years' experience in the trade.